i2fly released refreshing season’s best Flash lite mobile wallpaper and screensavers. We (i2fly) are back again with our refreshing mobile content for this beautiful Christmas and new year ahead. And we thought it’s a great time to impress with these little contents. You can impress others and make feel great to yourself & your mobile too. So let’s begin & decorate your mobile phones with all new creative and cute Flash lite mobile wallpaper and screensavers. 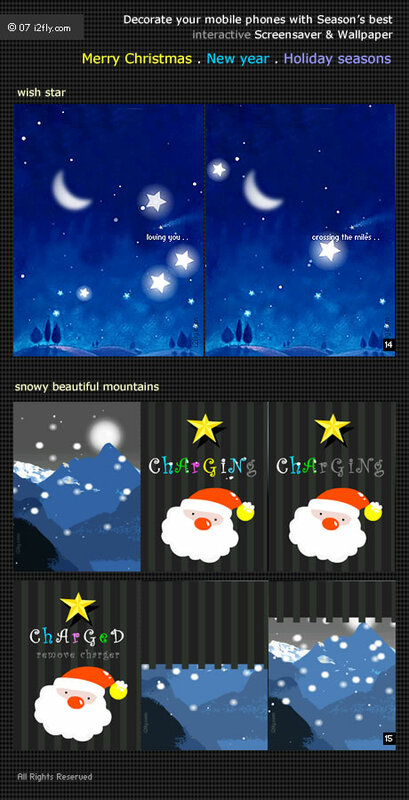 We (i2fly) released a whole new range of mobile contents for Christmas, New Year and holiday seasons to make your moments more beautiful and personalized. It’s too simple to download them, just choose the respective below link and download. We are also looking for association to distribute our mobile contents world wide, mail us (vivek@i2fly.com) if you have any kinda requirements. Have a look to my new character design straight out of the i2fly studio, She is playing around my creative studio for quite a few months so I thought to release it and show the world. 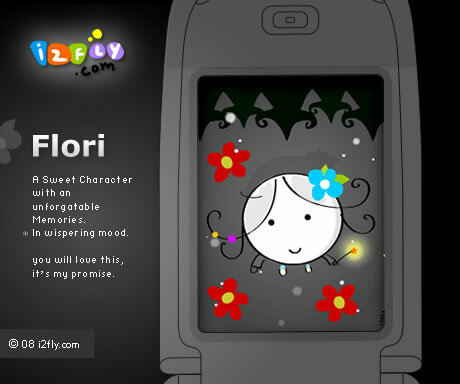 I name this character as “FLORI” I really love this character very much. 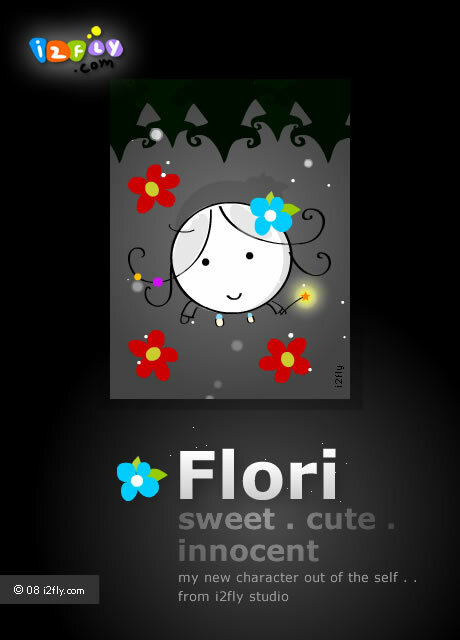 Flori is sweet, cute, innocent and naughty too 😀 . Download this content to your mobile phone here. As usual love to know your feelings. Feel free to post your comments/suggestions/views anything. Curious to know about it. 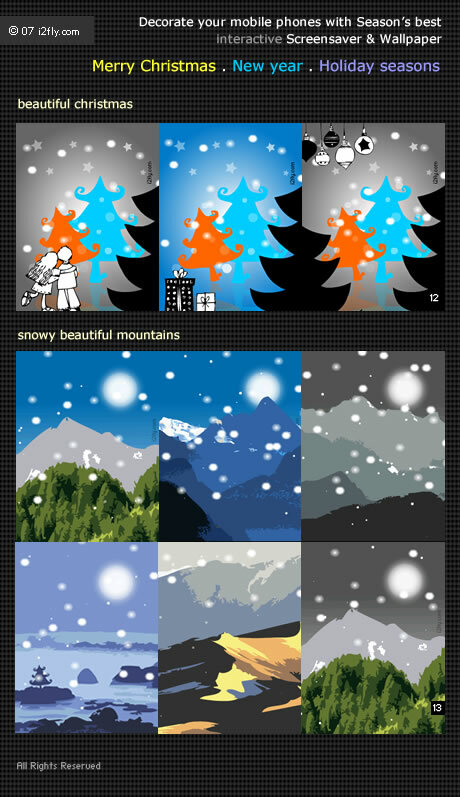 i2fly released season’s best Flash lite wallpaper and screensavers. Let’s decorate your mobile phones with all new creative and cute Flash lite wallpaper and screensavers. We (i2fly) released a whole new ranges of mobile contents for Christmas, New Year and holiday seasons to make your moments more beautiful and personalized 🙂 . It’s too simple to download them, just choose the respective below links and download. As usual love to know your comments/suggestions, feel free to post here or write me. And if you like to see some beautiful ideas which you have it in your mind, mail us we will love to know and craft especially for your phones to see more happy and smiling faces 🙂 .